Munlochy Animal Aid were caring for Zak the Welsh Terrier when his luck changed, and he found his ‘forever home’ with our Funeral Assistant Brian and his wife Pat. Brian and Pat are delighted by the impact Zak has had on their lives and to say ‘thanks’ to the animal shelter, they volunteer by walking some of the dogs. Brian told us about the work that Munlochy Animal Aid do, looking after animals who have suffered abuse or neglect and helping to find them permanent homes. So we decided to offer our support too, by donating some food to help feed the hungry mouths! 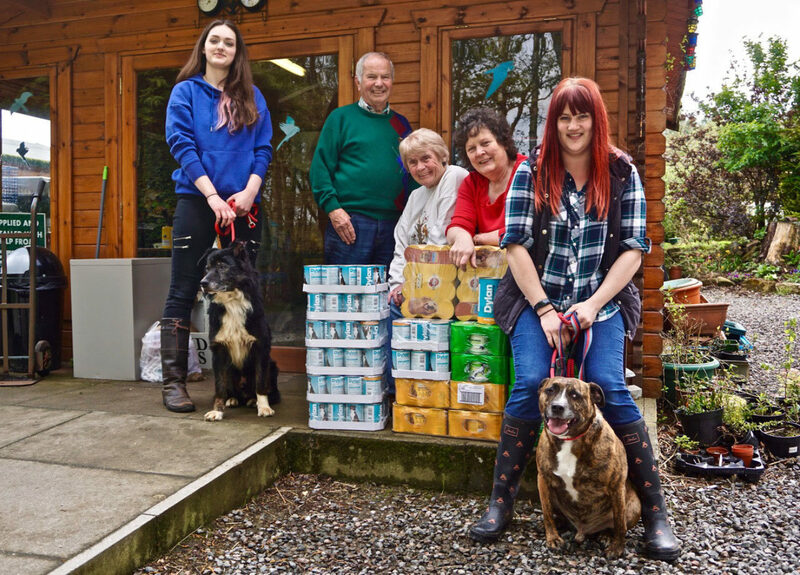 Munlochy Animal Aid was founded in 1979 and is open on Tuesdays, Wednesdays, Thursdays and Saturdays from 11am-3pm. Iona and her team welcome visits from people who are interested in rehoming a pet, and volunteers and donations are welcome. For more information about the rescue centre, call 01463 811722.